The Conservancy held its second annual Highwaymen weekend, benefitting the Conservancy, in downtown West Palm Beach. 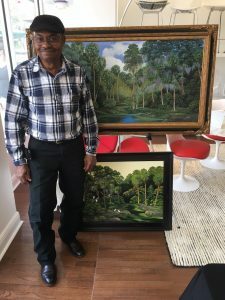 The weekend featured Curtis Arnett one of the original Highwaymen, Florida’s celebrated landscape artists, and an Advisory Member to the Conservancy. 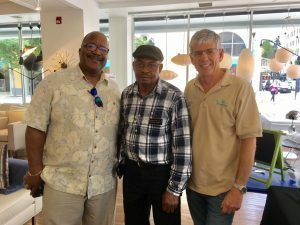 On January 14th was an art show and sale at Design Within Reach on Clematis Street. 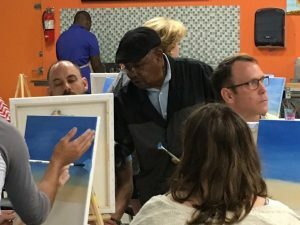 On the 15th Curtis taught a painting class at Uptown Art on Evernia Street. 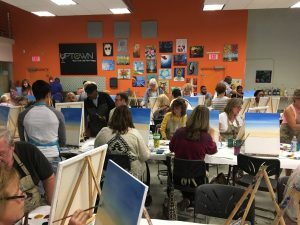 The art class was a sell out. The Conservancy would like to thank the sponsors ECF Engineering Consultants, Design Within Reach and Uptown Art.